It looks like someone is pressing the panic button. 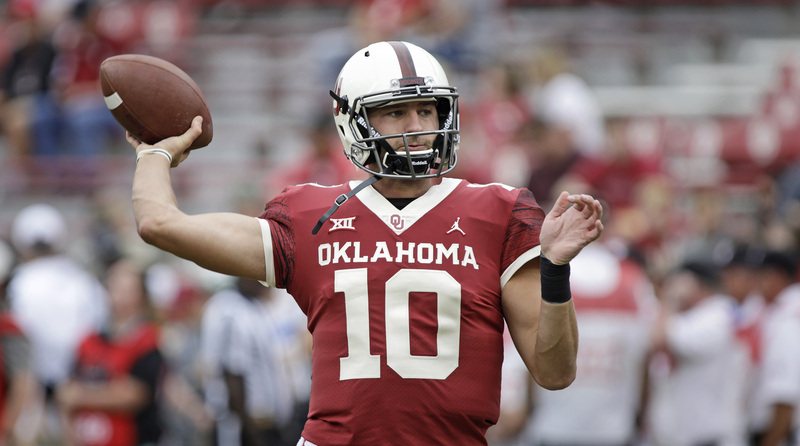 While Oklahoma is trying to land graduate transfer quarterback Jalen Hurts of Alabama, they are also blocking their own QB Austin Kendall from transferring to West Virginia and becoming eligible in 2019. This is according to ESPN. New transfer rules have been established that allow Kendall to talk to West Virginia and even transfer to the school. Oklahoma still has the ability to block Kendall from becoming immediately eligible to play in the 2019 season, even though he has already earned his undergraduate degree at Oklahoma. If Oklahoma does not back off of this block, Kendall can still transfer to West Virginia but would not be eligible until 2020 and would only have one year of eligibility yet, opposed to two. On Friday Kendall entered the transfer portal. This was after he learned that the Sooners were attempting to bring Hurts on board and had a visit with him scheduled over the weekend. New Mountaineer head coach Neal Brown has ties to Kendall, who is a native of Charlotte, North Carolina. When Brown was an assistant at Kentucky he recruited Kendall. Additional to that, Kendall would be in line to compete for the starting job right away with West Virginia looking for a replacement for two-year starter Will Grier. According to sources, Kendall is definitely leaving Oklahoma and has already withdrawn from classes. He has also visited Auburn earlier in the week. Several people have reacted negatively to the Sooners seeking a replacement for Kendall while blocking him from going to West Virginia.